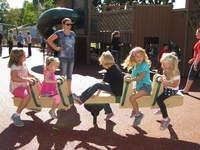 Located next to Briggs Elementary School, the playground at Little Bear Park was recently redesigned and rebuilt by the Maquoketa community (Grand re-opening was September, 2013) - the same process that was used in 1992 when the original playground was constructed. 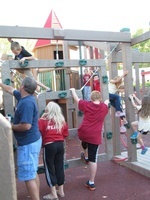 The new design is one-of-a-kind and based on the input from the children within the community. 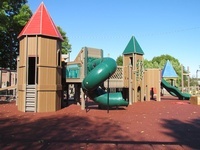 It's a wonderful park to visit and play.